The strain prints you see below were designed for OutCo, a large-scale medical cannabis producer in San Diego, CA. 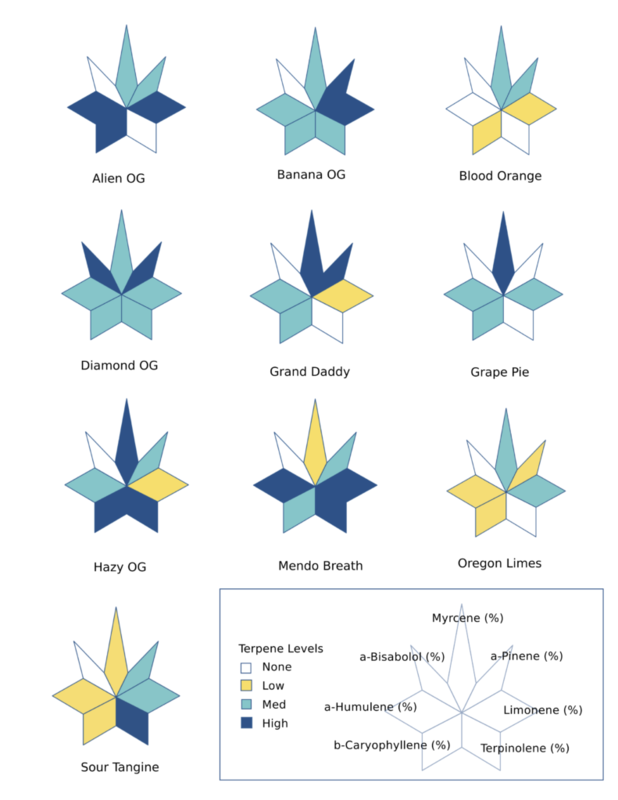 The graphic adapts the companies logo to show the relative presence of 7 dominant terpenes in different plant strains. The idea was to come up with a consumer-facing label that could both be to 1) educate consumers about different terpenes content and 2) guide them towards similar products. For example, the first two strains contain a relatively high presence of Limonene and therefor may have a similar “feel” or effect.